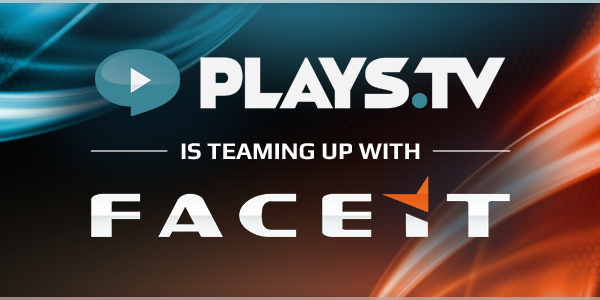 We are excited to announce a partnerships with with our friends at Plays.tv. Plays.tv is an awesome platform to easily record, watch and share your game play highlights. Whether you watch a highlight to improve or you share it to brag, videos are an integral part of our competitive experience. Thanks to the integration with our friends at Plays.tv watching and sharing the best plays you had in a tournament or in a competitive match has never been easier! You can now share videos of your best plays on your FACEIT profile and on the video section of the competition and matches you were playing in with a single click. 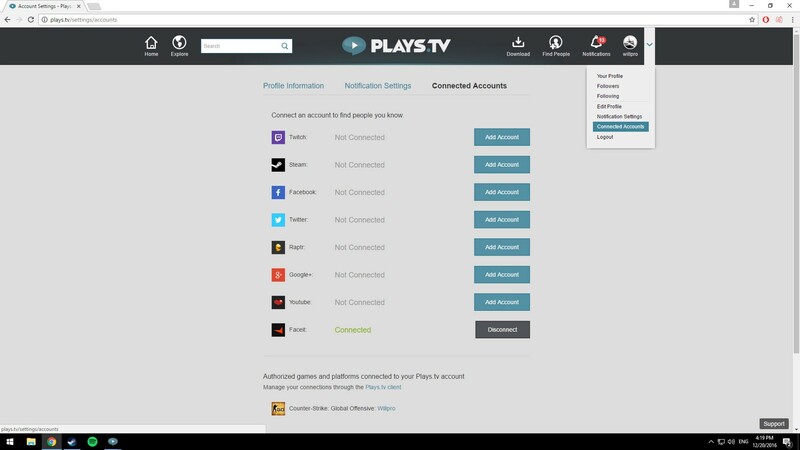 Simply connect your FACEIT account to your Plays.tv account in the client settings, play on FACEIT and upload your videos. 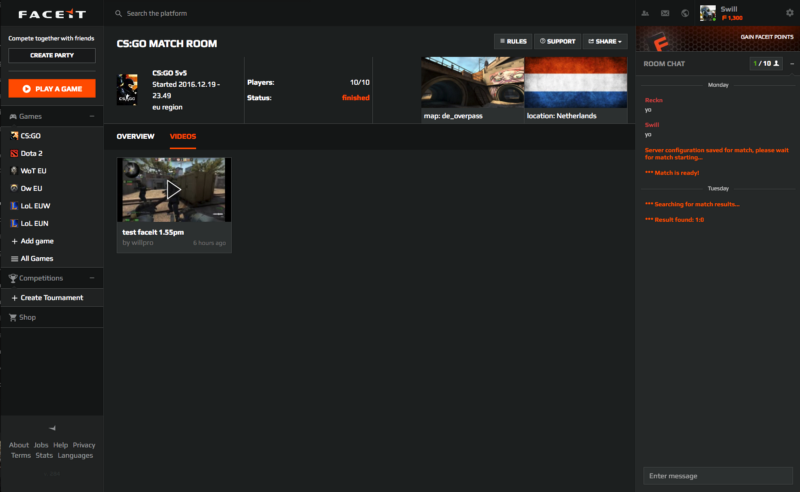 Boom — all highlights of a your FACEIT matches are now magically shared on your FACEIT profile in the video section. 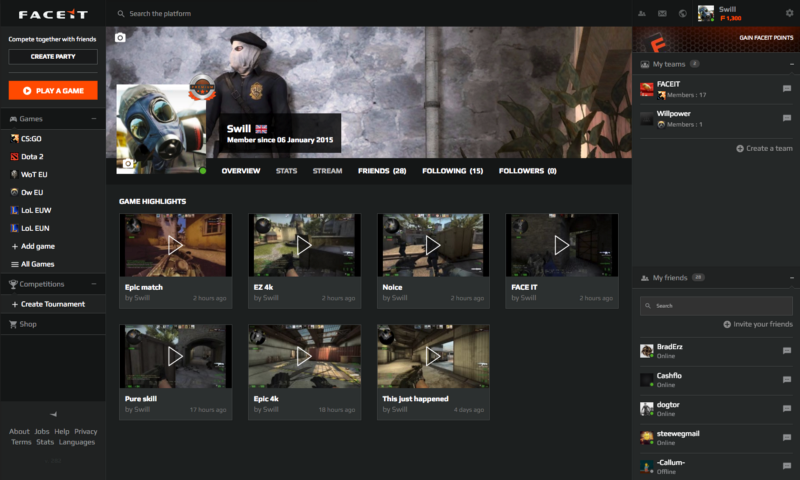 Your videos will be visible on user profiles as well as in the match room in a new section called “videos”. In these sections you can select the video you want to watch as well as share them as you like. Download the Plays.tv client, which can be found here , and login to or create your Plays.tv account. Here you connect your FACEIT account by authenticating with your FACEIT credentials. That’s it, you’re all set.